In this webinar, Deborah Werner, physical therapist at Penn State Hershey Medical Center, will outline the benefits of aquatic physical therapy for several common lower leg injuries. 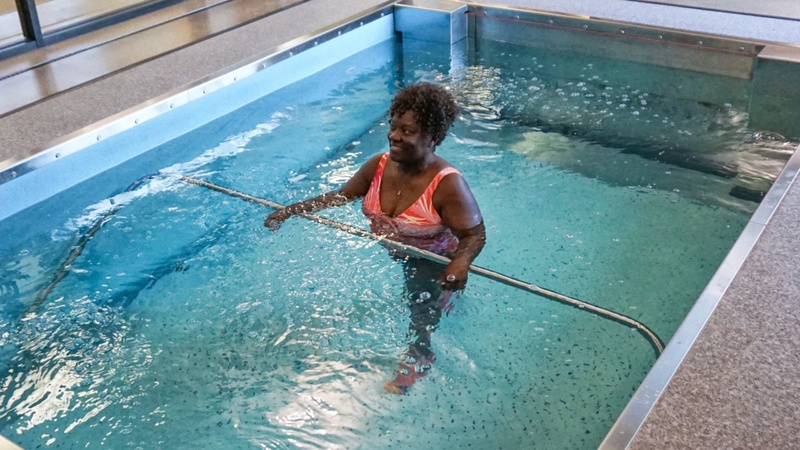 She will discuss the advantages of using aquatic therapy, including decreased weight-bearing in the water to allow patients to initiate rehabilitation earlier than land-based therapy. Deborah will use examples of lower leg traumatic injury, overuse injury and injury requiring surgery to demonstrate specific aquatic exercise progressions. She will also share strategies to successfully transition patients from an aquatic environment to land-based activity. "Please continue with the webinars. They are very informative!" "I think this was an excellent webinar!" "You guys did a very nice job! Thank you for the webinar!" Deborah Werner has 12 years of experience in both land and aquatic physical therapy. Deborah graduated from Ithaca College with a Doctor of Physical Therapy degree. She then moved to Maryland where she worked at the National Rehabilitation Hospital in Bethesda. She then transitioned to a private practice clinic where she continued treating both land and aquatic patients. Deborah recently joined Penn State Hershey Medical Center and is excited to help expand their aquatics program.